Last updated on August 20, 2016 By Nat Leave a Comment This post may contain affiliate links. We appreciate you supporting Rags To Niches! Full disclosure here. 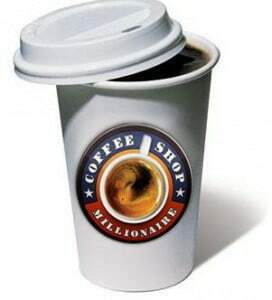 The idea behind Coffee Shop Millionaire, is largely to teach people how to generate a substantial income by learning how to be a successful local marketer online. 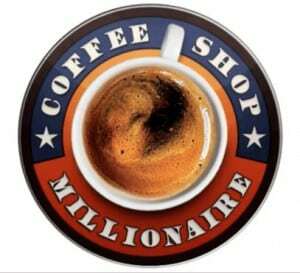 So, the aim of Coffee Shop Millionaire, (CSM) is to educate you how to help small local businesses to rank highly in the search engines. A majority of small business will not have any idea how to get their business ranked highly and thereby searchable and visible online – generally, if they want to achieve this, they will hire someone to do it for them. Training is via video modules – very short videos at that, (which, if you actually survive the sales video, will no doubt be something of a relief!). However, If you’re a newbie online, I can say from experience that step-by-step detailed training is really the best way you’re going to learn. This training is not adequate for that. There is an outrageous claim that you can make 21k in a few weeks if you follow these training videos… now, if you already have experience and a list created of your own this would be more possible, but for a complete newbie? That’s not going to happen. I think often internet marketers forget just how alien internet-marketing can be to people brand new to it – and this training is will still leave newbies in the dark about various aspects that they’ll still have to learn. Problem #1: Anthony makes the selling aspect seem easy! Anthony makes it sound like selling to local businesses is going to be easy. But you need a client list to get started and you need regular work, this is not something that will just fall in your lap- they will just readily give work to you with very limited experience? Just because you may have a bit of SEO knowledge to help their business, it’s not like all small businesses will come running to your door. It’s very likely that these businesses you will have to approach, will already have had lots of approaches by people, claiming to improve their business by making their website more visible one way or another. 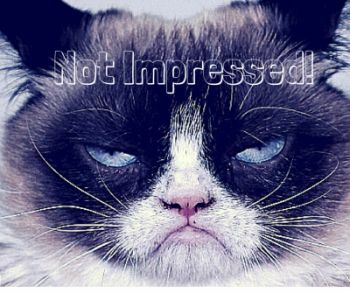 So, assuming you have no experience of local marketing, how are you going to convince a local business owner, (who may have multiple requests of a similar natures all the time) to hire you? With no experience, you’re going to be relying on cold calling, sending emails, or even walking through doors asking owners directly to hire you. This is not an easy breeze. Problem #2: Outsourcing work is not as simple as he makes out! You’re also told to outsource your business, once you get the hang of things – on places like upwork, (previously odesk) – but working on getting a quality team together, who may be working from anywhere the world, is not such a simple thing. Especially when you have zero experience of outsourcing! It takes work and trial and error – simply looking up profiles on upwork and posting up and job post is just the beginning. Also, it’s one thing if you’re outsourcing work for your own projects. So what if sometimes it may not work out, the quality isn’t right or you made the wrong choice and you just move on. But if you’re working for someone ELSE to a deadline, that’s quite another thing. Of course it’s totally possible to be able to do these things, but there is a learning curve here, so for newbies it’s not a good way to go into internet marketing. CSM costs $37 – which in itself it not very much money. However, there are also upsells. “Six Figure Success Club” $297. So, they try and hook you in with a low price, in order to upsell you the higher ticket item as soon as your foot is in the door. The business model on it’s own is certainly not a Scam. Promoting your services to local businesses, (when you have experience and are good at what you do) could well be a success – especially in an area where you may not have very much competition. However, in the sales video, Anthony talks of this program as though it won’t take very much work at all and is one which will very quickly make you a great deal of money – even if you have no experience. But if you’re genuinely looking to walk into this program with zero knowledge and walk out a millionaire, you’ll be sorely disappointed. This program provides the bare minimum in terms of training for this business model and even though it’s not an expensive product, I don’t think it’s worth your time. Whenever marketers talk about a system being “hands free,” or “automated” you ought to be nervous. Whatever business you are building… it’s not a hands free one. Then come earnings reports – just take these with a pinch of salt. While he does not say you can replicate his earnings of 100k in a single month – he does ask, “what about 1k or 3k in your first month?” If you do purchase this program, I honestly doubt you will make 1-3k in the first month as a result of it. Please, do let me know if you have! The sales video is very very very long. He talks for quite while about a story of a nasty supervisor, with bad aftershave… yup ….He really does do the hard sell about hating your job, your boss, your supervisor..wanting financial and location freedom. However, during this exceptionally long sales video, I had no idea the whole way through what the training was about. There was no mention of WHAT the course was actually about. By the time this sales video ends, your brain will be so numb, you will want to buy it just to make it all stop. Why would I want to buy into this “system” that I know absolutely nothing about – at all? He says he has secret strategies and techniques for you to sit and work in a coffee shop and earn a tonne of money – but not any details. To me, this just demonstrates how geared to a newbie marketer this is meant to be. Even a marginally experienced marketer wouldn’t buy into a program without knowing something about the sort of techniques they’d be learning – but the joke is, this course is not suitable for newbies anyway! Some reasonable training for the price, but not in depth enough for newbies. 60 day money back guarantee – so, you could always check it out and get a refund. By the looks of the sales video, newbies are the prime target for coffee shop millionaire. Yet newbies are precisely the group of people who will be left most dissatisfied and likely confused and frustrated, because the training already presumes some internet marketing knowledge. While the initial fee is not expensive, there are other costs involved and an immediate upsell, which could end up making it far more expensive. There are considerably better, more transparent and more effective programs online. If you want to really make money online, it will take work, it won’t be “hands off”…or at least not for a long time while you’re building your business and the chances of you making 2ok plus in the first few weeks of learning are next to nil, but there are legitimate realistic ways you can build an online income. Check out my #1 rated program, Sign Up For Free! I hope you found this review useful! Have you had any experience with CSM? I’d love to know, leave me a comment below!